Dr. Dorian Mintzer, owner of RevolutionizeRetirement.com, a Boston retirement coaching firm, was recently quoted as an expert in a May 2016 article by Kerry Hannon in The New York Times. The article, Work a Little, Play a Little: A New Retirement Strategy, notes that even after stepping away from a full-time job, for many "retirees," work is still their primary identity. These retirees are intentional in figuring out what's next, realizing they benefit from some work structure and want to build social connection, mental engagement and meaning into their life. "It's an important part of how they define themselves, and they don't want to totally give it up," Mintzer noted. "But they want to create their own hours and have time for other things that matter to them." The interest in consulteering, or a combination of working as a consultant, volunteering and having time for leisure, is one sign among many that traditional retirement no longer satisfies as many people as it once did. "My hunch is that we'll be seeing more of `consulteering,'" added Mintzer. "It's a great way to fit work into life rather than trying to squeeze time for life into your work schedule." Mintzer is a member of the National Speakers Association and The Life Planning Network and is a sought after speaker, coach and consultant. 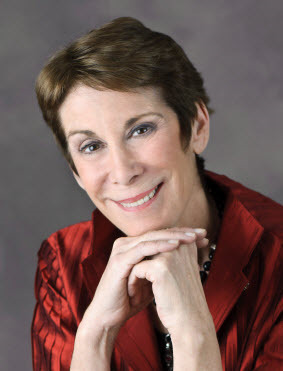 Through her website, RevolutionizeRetirement.com, she offers the 4th Tuesday "Revolutionize Your Retirement Interview Series with Experts” and comprehensive coaching programs to individuals in person and over the phone, as well as groups and workshops and is available for keynotes, seminars and break-out sessions.